Fall is my favorite time of year. Nothing beats cool nights, campfires, leaf peeping, apple harvesting and pumpkin hunting. Aside from holiday entertaining, fall is the time of year that my crock pot sees the most use. 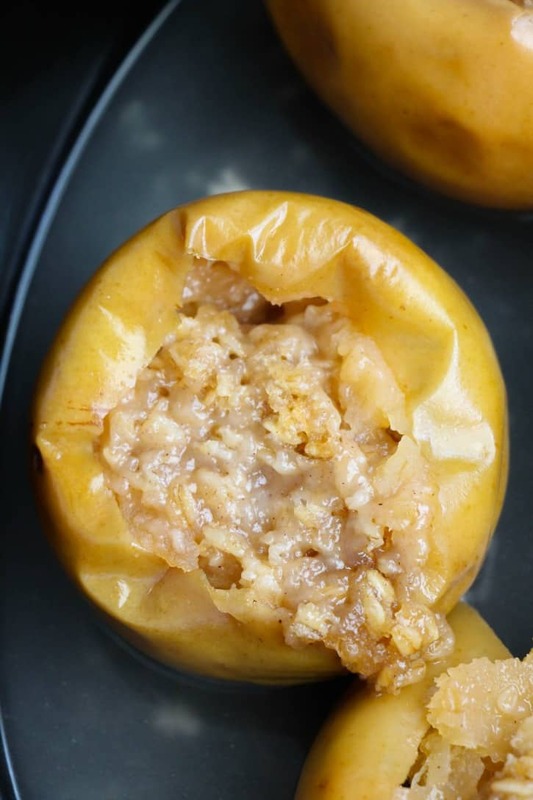 Making this Weight Watchers Baked Apples Slow Cooker Recipe had the whole house smelling incredible. 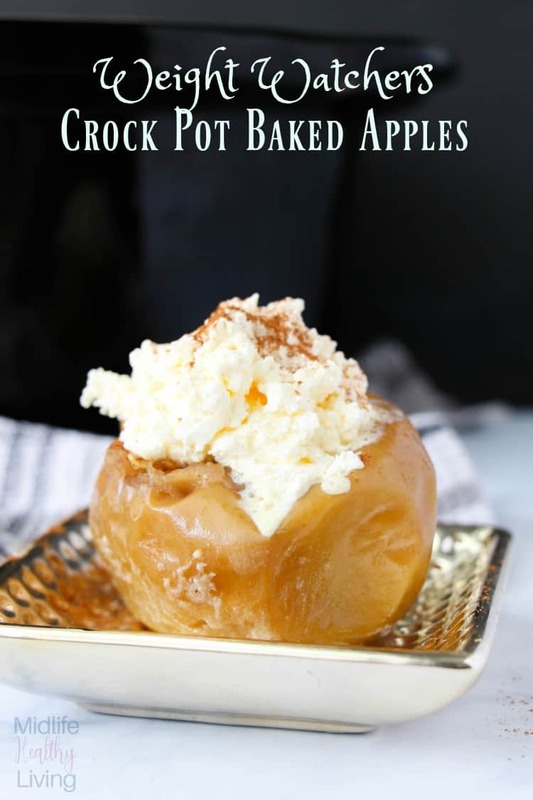 The recipe has been tweaked from original calorie filled baked apples to a new and improved Weight Watchers Friendly version with just three WW SmartPoints per serving. 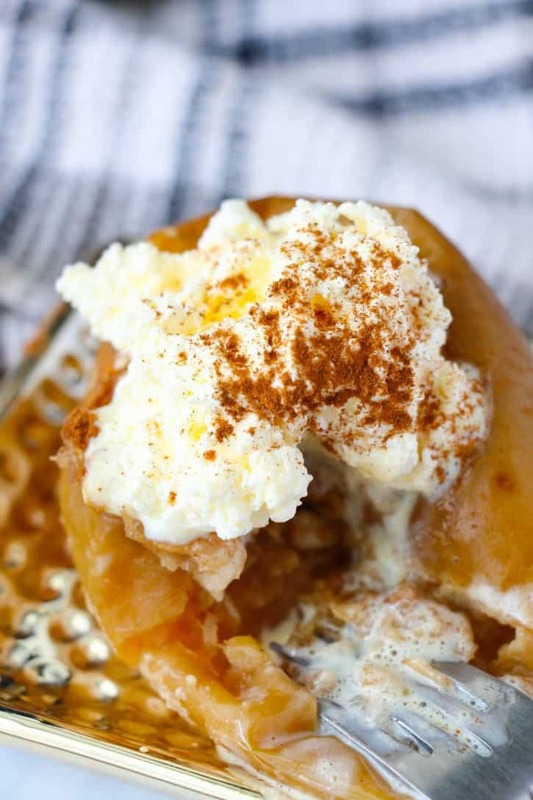 Dust off that crock pot and make yourself some delicious fall treats! 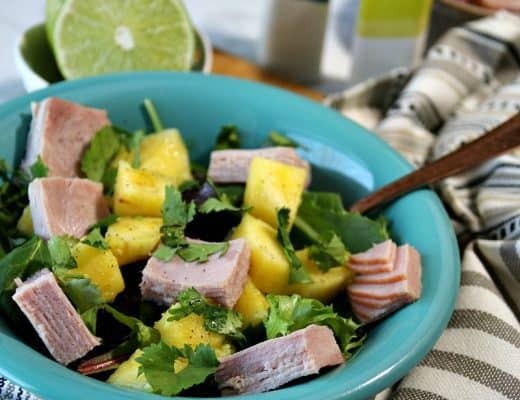 This recipe was made for a family of four. When I am making desserts, Weight Watchers friendly or not, I like to limit the serving sizes to help me to avoid the temptation to overeat. For this recipe you will need 4 large apples. Baking apples work best, I like to use Gala or Yellow Delicious, but use whichever apple your prefer. To cut down on the calorie count we used Truvia Brown Sugar Substitute. You can also use Splenda Brown Sugar Baking Blend but the Smart Point count will increase. 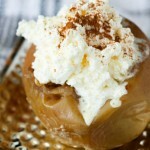 I normally add a quick squirt of whipped cream to the top of each baked apple before serving. A tablespoon of canned whipped cream is one Weight Watcher SmartPoint. 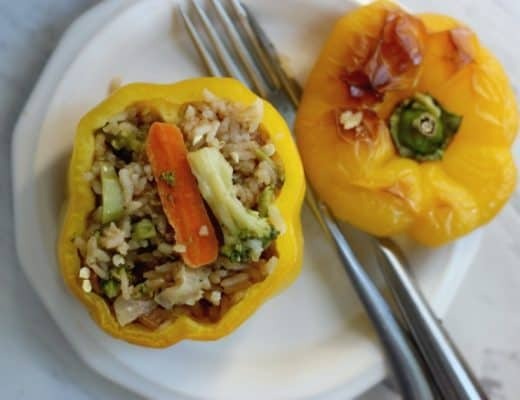 It was included in the calculation we used on the Weight Watchers App to get the point value for this recipe. No matter if it’s the light or regular, it’s still just one point. If you don’t like whipped cream, skip it and you have yourself a great two SmartPoints snack or will add another point, so just be mindful of that if you are using the Weight Watchers SmartPoints tracking system. On the Weight Watchers Freestyle Smart Points system this is just 2 points, including the whipped cream! 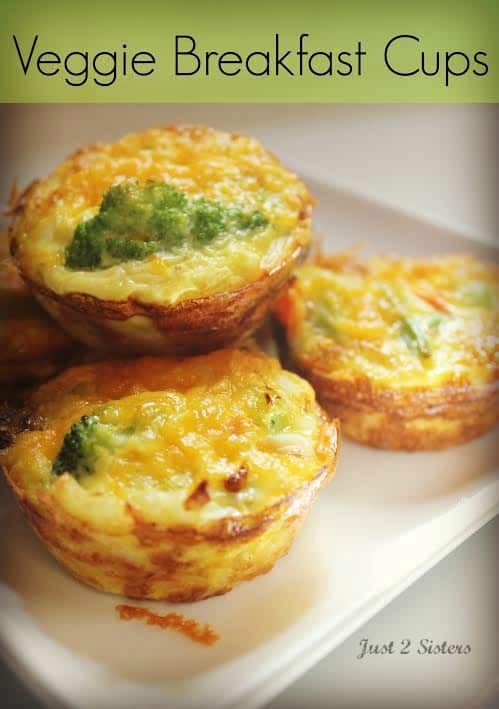 Enjoy this sweet treat without the guilt! Combine the flour, truvia, oats and cinnamon together slowly add just enough apple sauce to make the mixture crumbly. Place the apples in the crock pot. Portion out the oat mixture into the apple cavities, and then pour the water into the bottom of the crockpot. 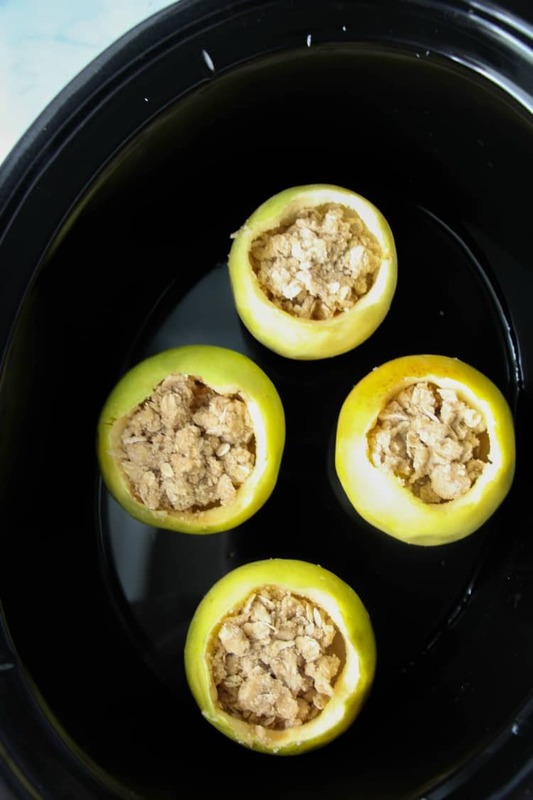 Place the lid on the crockpot and cook on high for 2 hours, until the apples are softened. Serve plain or with a dollop of light whipped cream and sprinkle of cinnamon.